The following charts explain the colored gem-market and our position in a promising e-commerce niche. We are open to discuss 3rd party investments (fixed income, equity or futures). Gemstones are the prettiest of all investments! 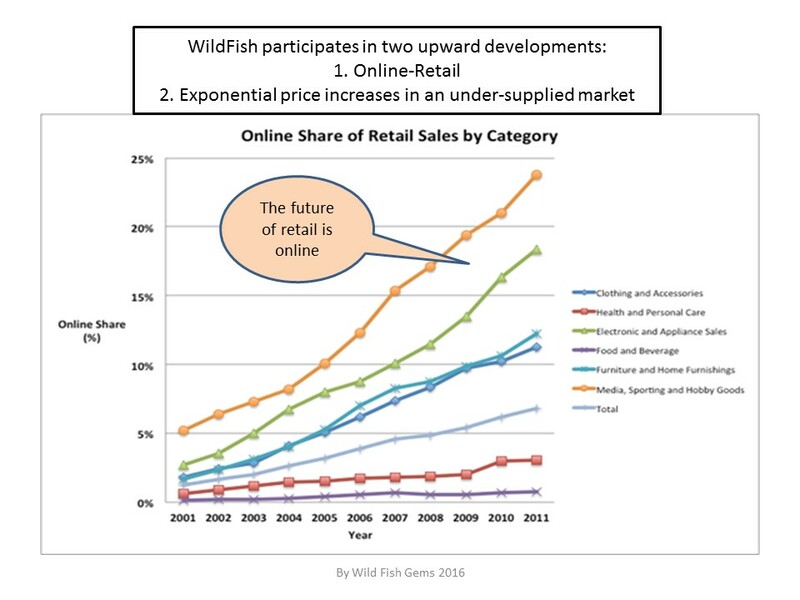 WildFish is positioned to participate in two upward developments. Explore the world of value and beauty.